DESCRIPTION OF THE BOOK: When Carol and Johnny learn of the Ollamat, an ancient stone that can channel savage magic, they convince their parents to take them to the cloud forests of Oaxaca. With Pingo’s help, they search for the legendary city where it has been protected for a thousand years. But the twins aren’t the only ones hunting for the Ollamat. After it is stolen, they must travel through an emerald mirror into the beautiful yet dangerous Tlalocan: the paradise of the rain god. To retrieve the stone, they must face talking apes and forest elementals, rock worms and vicious elves, demons of lightning, and something even more unexpected: the souls of people they have watched die. As always, they are aided by allies old and new, though nothing can quite prepare them for the biggest foe of all – a member of their very family. MY TWO CENTS: As with the first two books in the Garza Twins series, The Hidden City follows a similar structure: Carol and Johnny Garza, twin shapeshifters, learn more about their heritage and powers, uncovering a dire plot that must be foiled. This time, Carol and Johnny go in search of the Ollamat, a stone created from the heart of one of the ancestors, another in a set of twins who could wield savage magic. Along the way, however, Carol and Johnny learn that their uncle is a member of a militaristic force bent on eradicating naguales, or shapeshifters like Carol, Johnny, and their mother. Their lives are further thrown into turmoil when their hunt for the Ollamat requires that they once more travel into mythical lands, navigating a series of planes inhabited by the dead. The plot takes Carol and Johnny on another magical journey and sets the stage for future entries into the series. As Carol and Johnny face new foes and meet new friends, The Hidden City adds more dimension to this series by revealing Carol’s crush on her friend, Nikki. Carol’s sexuality isn’t treated as a novelty or a token, but an extension of herself. Carol is aware of the heteronormative bounds within which she and Nikki live, and so her trepidation to reveal those feelings to Nikki feels natural. She questions her sexuality and attraction like many young people do—is this love? Is this just friendship? She’s confused, but not because of any internalized homophobia, rather she’s young and this feeling is so new. What’s more, Carol’s sexuality is normalized when Johnny reveals to her that he’s known about her bisexuality for a while and, of course, he’s accepting of it because both of their parents are bi. Thus, not only do we have a young, Latinx, bisexual protagonist, but we also have queer parents—this is radical for Latinx youth literature, and, frankly, all youth literature. Carol’s sexuality is implied and hinted to in the previous books, but that this text names it—and names it bisexuality in a world where media is so often guilty of bisexual erasure—is significant and changemaking. Carol’s sexuality, juxtaposed against the search for the Ollamat, produces a dynamic and intriguing plot, one that will doubtless captivate young readers. As with all of the other books in this series, Bowles has a particular magic in making his worlds believable even as he adds more and more fantastic elements. 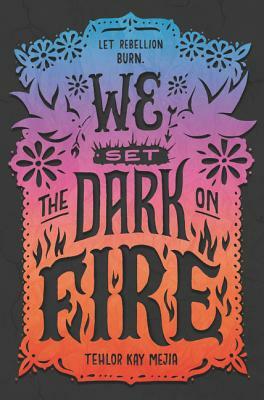 For readers familiar with Latinx youth literature, it is easy to recognize that Bowles’s Garza Twins series not only fills in a gap as far as queer representation within the genre, but it also provides some much-needed fantasy. Latinx children’s literature is a relatively young genre, but contributions like Bowles’s mean that we’re getting more and more texts that move away from the racialized problem novel and instead offer fun, engaging, and challenging texts for young readers, Latinx and non-Latinx alike. ABOUT THE AUTHOR: A Mexican-American author from deep South Texas, David Bowles is an assistant professor at the University of Texas Rio Grande Valley. Recipient of awards from the American Library Association, Texas Institute of Letters and Texas Associated Press, he has written a dozen or so books, including Flower, Song, Dance: Aztec and Mayan Poetry, the critically acclaimed Feathered Serpent, Dark Heart of Sky: Mexican Myths, and They Call Me Güero: A Border Kid’s Poems. In 2019, Penguin will publish The Chupacabras of the Rio Grande, co-written with Adam Gidwitz, and Tu Books will release his steampunk graphic novel Clockwork Curandera. His work has also appeared in multiple venues such as Journal of Children’s Literature, Rattle, Strange Horizons, Apex Magazine, Nightmare, Asymptote, Translation Review, Metamorphoses, Huizache, Eye to the Telescope, and Southwestern American Literature. In April 2017, David was inducted into the Texas Institute of Letters for his literary work. 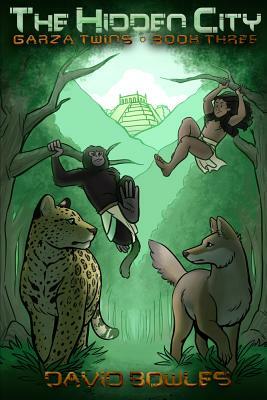 DESCRIPTION OF THE BOOK: The Garza family’s Christmas vacation in Mexico is cut short by the appearance of Pingo, one of the tzapame – Little People. The news is grim – a rogue prince from an ancient undersea kingdom is seeking the Shadow Stone, a device he will use to flood the world and wipe out humanity. Now Carol and Johnny must join a group of merfolk and travel into the deepest chasms of the Pacific Ocean to stop him and his monstrous army with their savage magic. MY TWO CENTS: Picking up about six months after the first book, The Smoking Mirror, A Kingdom Beneath the Waves does a good job of re-immersing the reader into Carol and Johnny Garza’s world without overshadowing its own plot with too much background. One does need to have read the first book in the series for this second book to make sense, given that The Smoking Mirror provides much-needed background on the Mesoamerican mythological roots of this series’ worldbuilding. We start A Kingdom Beneath the Waves with the understanding that Carol and Johnny, the series’ twin protagonists, wield xoxal or savage magic, and that they are naguales, meaning they can shift into alternate forms: Their tonal—their animal spirit—being a wolf and a jaguar, respectively. 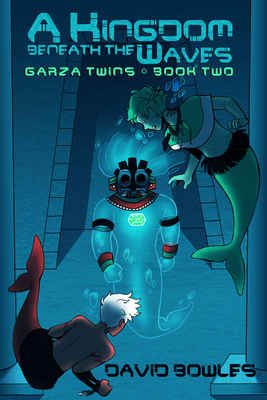 Utilizing these powers, Carol and Johnny are enlisted into helping the underwater kingdom of Tapachco as it is being threatened by the fugitive prince, Maxaltic. Carol and Johnny’s involvement in saving Tapachoc—and, by extension, the world—is complicated by their previous run-ins with the mythical world. Indeed, what makes this series so fascinating is that Carol and Johnny are not straightforward heroes, they grapple with tough subjects and their own faults as they learn to wield their burgeoning powers. Their choices have big consequences, but those choices still feel within the realm of these young protagonists, which makes this series relatable despite its fantasy elements. Further, one of the things I find most intriguing about this series is how integral being Latinx is to the series and, yet, it’s not a series about race/racism or xenophobia (though those things are present)—rather, these are stories about young people demonstrating resilience and making tough decisions. Carol and Johnny’s struggles for good translate well for young readers, especially young Latinxs or other historically marginalized readers. What’s more, this book furthers representation by not only establishing Carol and Johnny’s own Indigenous heritages (by drawing a line between them and other twin naguales), but also introducing characters who are coded as Polynesian. This increase in representation in this series further reflects the diversity of our world and would resonate with young readers of all backgrounds. As with the previous book, Bowles’s mastery of myth and history is impressive. While reading these books, I do have some trouble keeping track of character names, place names, and mythical creature names. While this doesn’t pull me out of the narrative, it may some readers. As with the first book in the series, Bowles provides an index at the end of the text that helps to briefly remind readers of characters’ names and so on. All in all, I found A Kingdom Beneath the Waves to be a great addition to this series. It added more complexity to the world established in The Smoking Mirror and made me intrigued to keep reading the rest of the series. For readers who loved Percy Jackson or other fantasy series, The Garza Twin series is a must-read. To celebrate the paperback release of Love Sugar Magic: A Dash of Trouble by Anna Meriano and the release of the sequel, Love Sugar Magic: A Sprinkle of Spirits, please enjoy these profiles of the main characters in the series, along with collage portraits by Cecilia Cackley. Look for the books at your local bookstore or library and try making some of the sweet treats that each of these characters loves! Happy reading and baking! Power: Influence. First-born Isabel can manipulate the emotions of people around her, making them artificially happy, calm, or even scared. It’s a dangerous power to have, so she uses it carefully, except sometimes when she gets mad at Marisol. Personality: Isabel is the oldest sister, and she takes on a lot of responsibilities both at home and at the family bakery. She’s patient with Leo and loves studying magic and adding decorative details to baked goods. Power: Manifestation. Second-born Marisol can pull small objects out of thin air, which comes in handy to stock up her makeup and nail polish collection. She can’t summon anything too large or heavy, but she comes up with a lot of creative ways to annoy Isabel or accomplish tasks with her power. Personality: Cranky teen Marisol would much rather spend time with her friends than work at the bakery, either on everyday chores or on special magical recipes. She may not be the most patient sister, but she’s a strong ally when things go wrong. Powers: Alma and Belén share their third-born power with each other and with their aunt Tía Paloma. All three can see and talk to ghostly spirits from the other side of the veil, and they can summon the spirits so that others can hear or even see them as well. It takes a lot of energy, so it’s good that they each have a partner to work with. Personalities: Belén and Alma are usually in their own world, whether they’re inventing secret languages, dressing like their favorite fictional characters, or talking to ghosts. Still, they’re dedicated to their family and focused on honing their skills. Power: Like the rest of her family, Leo can use her baking magic to make cookies that fly, bread that brings luck, and all sorts of pastries with supernatural side effects. But she doesn’t know yet what her special individual power will be. Those powers are usually based on birth order, but Leo’s the first ever fifth-born daughter, so her powers are still a mystery! Personality: Leo is the baby of the family, which means she sometimes worries about being left out or kept in the dark. She is determined to prove herself as a baker and a bruja, but that determination can lead her to make decisions that aren’t always the best. Like, for example, the time she accidentally put a love spell on her friend and then shrank him! Power: Leo’s abuela once told her that magic works in everyone’s life and provides them with a special ability or gift, the thing they’re meant to do. Caroline has a lot of talents, but she hasn’t figured out exactly what her special gift is yet. Personality: Caroline is Leo’s best friend, a good student and clever plotter. Because of her family in Costa Rica, she can help Leo translate things to and from Spanish. She loves to read and always shows her appreciation for her friends. ABOUT THE AUTHOR: Anna Meriano is the author of the “Love Sugar Magic” series, which has received starred reviews from Kirkus, School Library Journal, and Shelf Awareness. A Houston native, she graduated from Rice University with a degree in English and earned her MFA in writing for children from the New School. Anna works as a tutor and part time teacher with Writers in the Schools, a Houston nonprofit that brings creative writing instruction into public schools. In her free time, she likes to knit, study American Sign Language, and play full-contact quidditch. DESCRIPTION OF THE BOOK: Odilia and her four sisters rival the mythical Odysseus in cleverness and courage as they embark on their own hero’s journey. After finding a drowned man floating in their secret swimming hole along the Rio Grande, the sisters trek across the border to bring the body to the man’s family in Mexico. But returning home turns into an odyssey of their own. Outsmarting mythical creatures, and with the supernatural aid of spectral La Llorona via a magical earring, Odilia and her little sisters make their way along a road of trials to make it to their long-lost grandmother’s house. Along the way, they must defeat a witch and her Evil Trinity: a wily warlock, a coven of vicious half-human barn owls, and the bloodthirsty chupacabras that prey on livestock. Can these fantastic trials prepare Odilia and her sisters for what happens when they face their final test, returning home to the real world, where goddesses and ghosts can no longer help them? 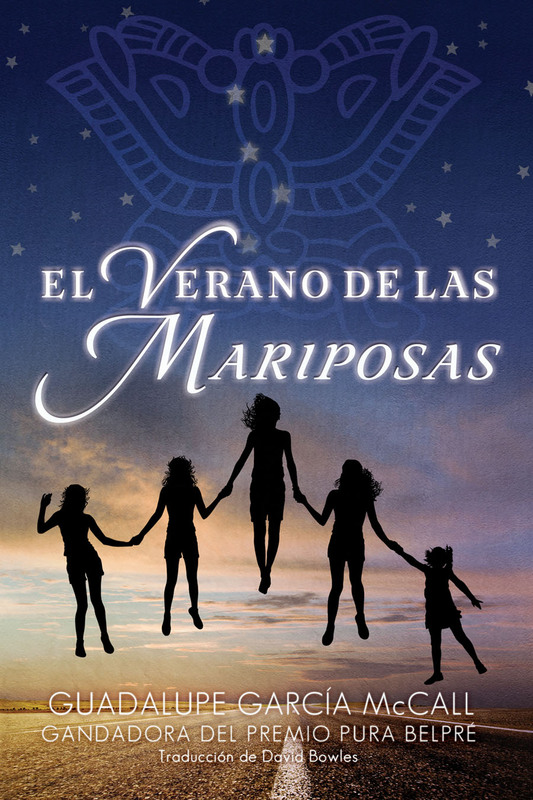 Now in Spanish and translated by David Bowles, the award-winning El verano de las mariposas is not just a magical Mexican American retelling of The Odyssey, it is a celebration of sisterhood and maternal love. MY TWO CENTS: El Verano de las Mariposas, by Guadalupe Garcia McCall and translated by David Bowles, was originally published in English in 2015 under the title Summer of the Mariposas. Bowles’s Spanish translation came out in March 2018. The content of the book itself has already been spoken on in the review written for the original publication (which you can find here! ), so I won’t spend much time on that. I will say that, while this was not my favorite book by Garcia McCall, it was a wonderfully written book and I did appreciate the Spanish translation that I read (which I’ll explain a bit more further down). First, though, there were a couple of issues that I had with this book. I thought that much of the plot was too far-fetched, even for a book filled with magical realism. This may have stemmed from my recurring frustration with the dynamics between Odilia, the oldest sister, and her four younger siblings. While one should recognize that Odilia is only 15, and that she and her sisters are going through a considerable amount of family stress and anxiety, the order and arrangements of this sisterhood were bothersome to me. It was made very clear at the beginning of the book that Odilia had largely been playing the part of caretaker for her sisters since their father had left. Her mother emphasized this when Odilia makes a poorly-advised visit to her mother’s workplace. Even still, there were a number of situations where one of the four younger sisters commandeered control of a situation and were determined to do what they (whichever younger sister) wanted to do. This was in direct contradiction to what I felt the philosophy of the sisters’ mantra (“¡Cinco hermanitas, juntas para siempre, pase lo que pase!”). At different times throughout the story, this happened with every single sister. At times, they were almost killed simply because they would not follow Odilia’s lead. At those moments, the younger sisters seemed to be concerned only with their desires, forgetting the ultimate goal of the expedition and even the pledge of togetherness that they supposedly held dear. Seeing this recur throughout the book made the central focus of the story, the bond between the sisters and the theme of family, feel very ingenuine. Apart from that, though, Garcia McCall has a wonderful way of putting words together that make a story, including this one, come alive. The language that she uses creates very vivid imagery, and brings to life the characters, setting, and action in a wonderful way. Even still, there are many interesting things that have been pointed out about the Spanish translation of this novel. Many native Spanish speakers have observed that the language seems strange, as it’s been translated almost word-for-word and the English sentence structure and phrasing often sounds weird. The exact translations of English idioms into Spanish might be surprising, or sound unusual. It has been pointed out that many of the English idioms are said differently in Spanish and have much more commonly used Spanish variations. I believe that these are all valid points, but it is also my understanding that Mr. Bowles’s intent was to offer a translation of the book that reached beyond the audience of native Spanish speakers. I believe myself to be an example of the population for whom he may have written a translation like this. I grew up and lived most of my life on the border of Texas and Mexico (I could walk from my house and cross the international bridge to Ciudad Juárez in about 30 minutes). Even still, I am not a native Spanish speaker, or reader, for that matter. I solidified my Spanish reading skills while in high school and college. By the time I could speak Spanish fluently, most, if not all, of the English idioms found in Garcia McCall’s original manuscript were already solidified in my mind. As I was reading through the Spanish translation, my mind pretty easily translated the Spanish words into the English idioms and sayings. But for readers like me, and for readers who have been speaking English for a good amount of time, many of the phrases that Garcia McCall uses to illustrate how the Garza sisters would speak sound perfectly normal, even in Spanish, because it’s recognizable as Border language. It often sounds exactly the way that Spanish is spoken around border cities because there is a rich mix of English and Spanish combined to create an entirely new dialect. Is it perfect? No, not always. Is it understandable by those who do not come from the area? Most likely. Language is fluid and ever-changing. I found it commendable of both Garcia McCall and Bowles that they kept the characters, setting, and language from the Borderland, the part of the world I’m from, as genuine as they could. ABOUT THE AUTHOR (from Lee & Low Books): Guadalupe Garcia McCall was born in Mexico and moved to Texas as a young girl, keeping close ties with family on both sides of the border. 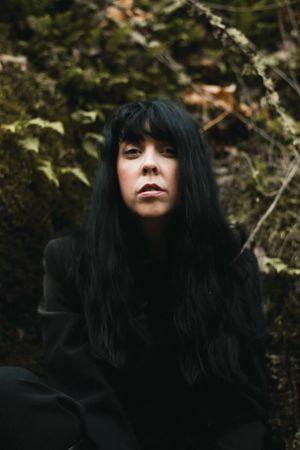 Trained in Theater Arts and English, she now teaches English/Language Arts at a junior high school. Her poems for adults have appeared in more than twenty literary journals. McCall is an up-and-coming talent whose debut YA novel, Under the Mesquite, won the Pura Belpré Award and was named a Morris Award finalist. McCall lives with her husband and their three sons in the San Antonio, Texas, area. You can find her online at guadalupegarciamccall.com. 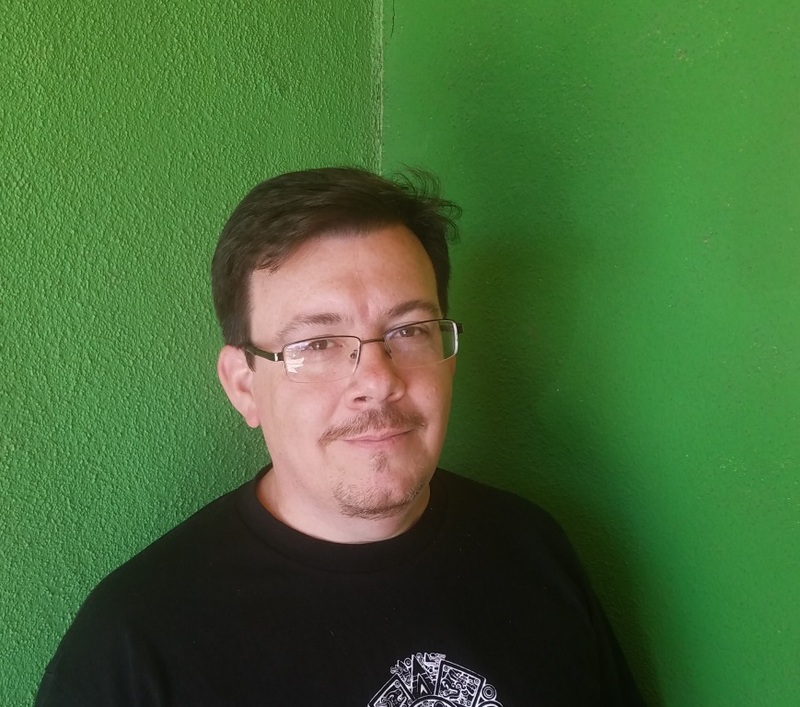 ABOUT THE TRANSLATOR: A Mexican-American author from deep South Texas, David Bowles is an assistant professor at the University of Texas Rio Grande Valley. Recipient of awards from the American Library Association, Texas Institute of Letters and Texas Associated Press, he has written a dozen or so books, including Flower, Song, Dance: Aztec and Mayan Poetry, the critically acclaimed Feathered Serpent, Dark Heart of Sky: Mexican Myths, and They Call Me Güero: A Border Kid’s Poems. In 2019, Penguin will publish The Chupacabras of the Rio Grande, co-written with Adam Gidwitz, and Tu Books will release his steampunk graphic novel Clockwork Curandera. His work has also appeared in multiple venues such as Journal of Children’s Literature, Rattle, Strange Horizons, Apex Magazine, Nightmare, Asymptote, Translation Review, Metamorphoses, Huizache, Eye to the Telescope, and Southwestern American Literature. In April 2017, David was inducted into the Texas Institute of Letters for his literary work. We are pleased to host the exciting cover reveal for The Chupacabras of the Rio Grande! The Chupacabras of the Río Grande is the fourth book in the fully illustrated, globe-trotting middle grade fantasy-adventure series about mythical creatures and their cultures of origin, from the Newbery Honor-winning author of The Inquisitor’s Tale. Elliot and Uchennna have only just returned from their most recent Unicorn Rescue Society mission when they (along with Jersey!) are whisked away on their next exciting adventure with Professor Fauna. This time, they’re headed to the Mexican border to help another mythical creature in need: the chupacabras! Teaming up with local kids Lupita and Mateo Cervantes–plus their brilliant mother, Dr. Alejandra Cervantes and her curandero husband Israel–the URS struggle to not only keep the chupacabras safe, but also to bring a divided community together once more. All in time for dinner! The Chupacabras of the Río Grande is co-written with David Bowles, author of the Pura Belpré Honor-winning book,The Smoking Mirror. It will be published April 16, 2019. And now, for the cover reveal! Follow @AdamGidwitz and @DavidOBowles on Twitter to get more information about their upcoming novel!